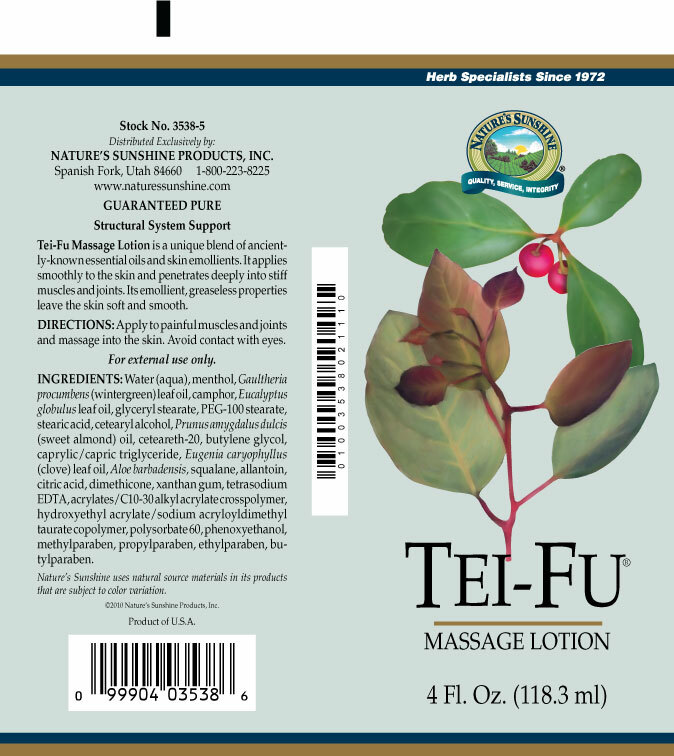 Nature’s Sunshine Tei Fu® Massage Lotion uses essential oils to refresh and invigorate skin. Tei Fu® Massage Lotion is designed for applying to greater areas to leave skin feeling soft and smooth. 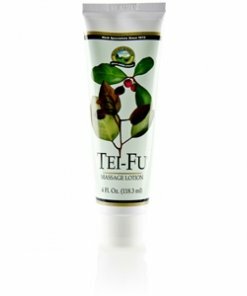 Tei Fu® Massage Lotion provides menthol, wintergreen, camphor, eucalyptus, and clove oils in a convenient tube. 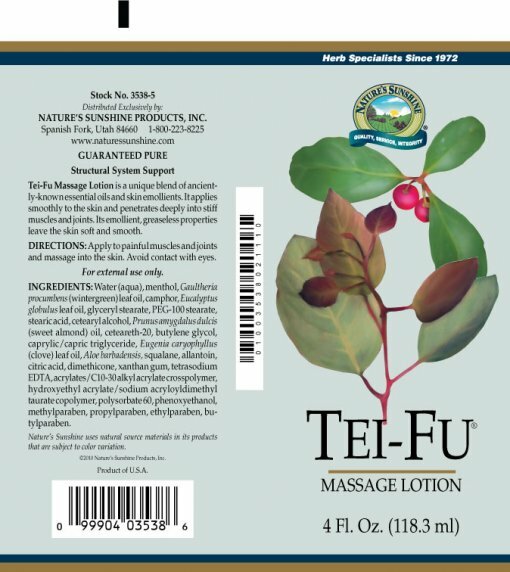 Instructions: Apply to painful muscles and joints and massage into the skin. Avoid contact with eyes. For external use only. Water (aqua), menthol, Gaultheria pro¬cumbens (wintergreen) leaf oil, camphor, Eucalyptus glo¬bulus leaf oil, glyceryl stearate, PEG-100 stearate, stearic acid, cetearyl alcohol, Prunus amygdalus dulcis (sweet almond) oil, ceteareth-20, butylene glycol, caprylic/capric triglyceride, Eugenia caryophyllus (clove) leaf oil, Aloe barbadensis, squalane, allantoin, citric acid, dimethicone, xanthan gum, tetrasodium EDTA, acrylates/C10-30 alkyl acrylate crosspolymer, hydroxyethyl acrylate/sodium acryloyldimethyl taurate copolymer, polysorbate 60, phenoxyethanol, methylparaben, propylparaben, ethylparaben, butylparaben.